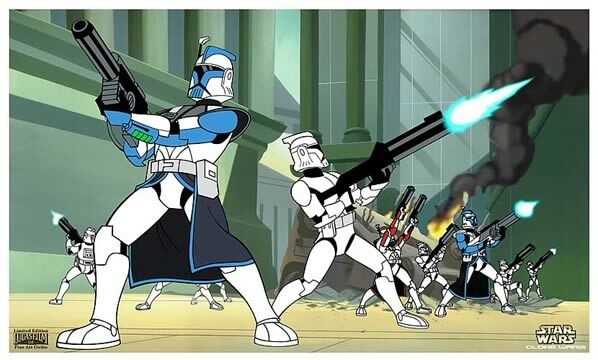 As seen in the animated micro-series Star Wars: Clone Wars, this fine art giclée features the most advanced tactical squad of Clone Troopers, the ARC Troopers. Printed on archival stock paper and handsomely matted, this piece measures 16-inches x 20-inches, and is hand numbered with a metal engraved title plaque and official Lucasfilm certificate of authenticity. Limited edition of 500 pieces worldwide.